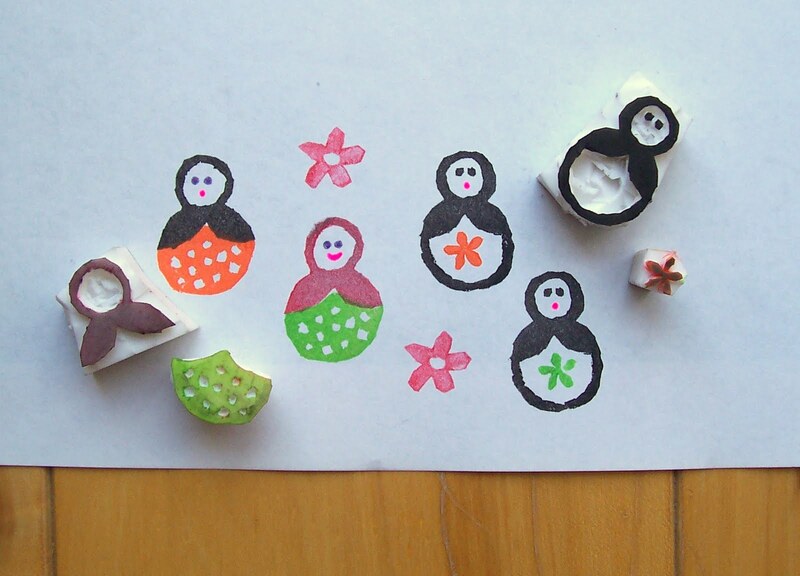 So having made a rubber matryoshka in one colour out of the plastic erasers, I had said that i wanted to bring a bit of colour to the stamp. I made one with a "hollow" tummy and carved a mini flower to fit inside, and then carved another in two parts allowing me to mix up the colours of the top and bottom. Quick, easy and great fun! I'm hoping to get into lino printing next so that i can make larger stamps and customise some material...i've a pair of shorts in mind that would work well with a mad fabric.